Easy to take capsule- saves any hassle! Creatine is undoubtedly an effective part of supplementation for increased performance and muscle strength. 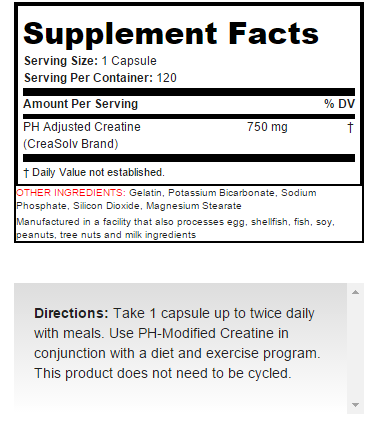 pH modified creatine gives you maximum results with minimal hassle, eliminating the need for complicated loading and cycling and the unwanted side effects of stomach discomfort.